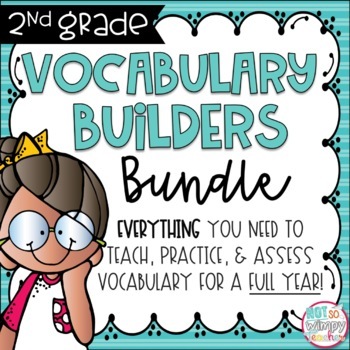 This unit includes everything that you need to teach, practice and assess vocabulary in your second grade classroom for the ENTIRE YEAR! It includes 4 units. Buying each unit separately would cost $40. Buying the bundle will save you 20%! 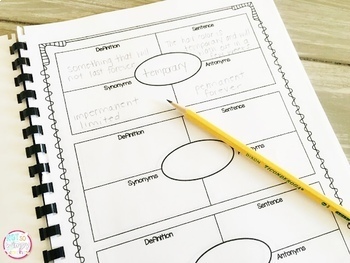 Direct vocabulary instruction helps students to become better readers, writers and thinkers. I carefully chose tier 2 words that students are likely to see in text and on standardized testing. This resource was written for 2nd graders. Q: Where do you find the words? 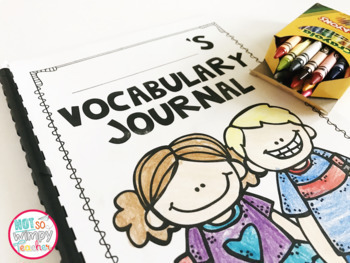 A: The words are high frequency words from grade level texts and tests. Q: What are tier 2 words? A: Tier 2 words are words that students will see often, but need to be taught. They are not content specific such a math and science vocabulary. Instead they are words that students will see over and over in their books and on standardized tests. Q: What do you do with the words from the reading curriculum? A: Honestly, I used those words for practice with context clues rather than memorization. I found that they were not words that students were regularly seeing in their books anyway. If you do need to add in your basal words, they could easily be added to the vocabulary journal. They just would not appear in the premade assessments.